Dental implants are becoming more and more popular as alternative solutions for missing teeth or removable dentures. Dental implants are small titanium screws that are placed into the jaw bone and used as small anchors which crowns or bridges can be attached to. Dental implants were discovered about 30 years ago however it is only recently that they are becoming normal practice in dentistry. 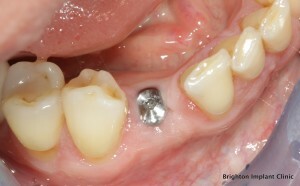 Dental implants have been available for a long however the cost of implants has been out of reach for many patients. 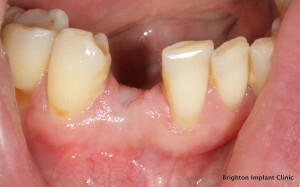 Replacing missing teeth with dental implants is a safe and predictable option for patients. 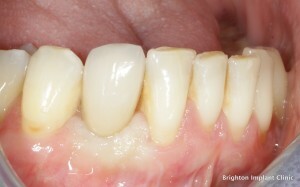 Unlike dentures dental implants are fixed to the jaw bone. At Brighton Implant Clinic we provide a dental implants to patients from across the UK. If you are thinking of having dental implants Scotland have you considered the cost savings you could make if you traveled to Brighton for dental implant treatment . We have treated numerous patients from Scotland successfully over the last 3-4 years. The usual cost of a dental implant in the UK is around £2000 per tooth. At Brighton Implant Clinic a single dental implant starts from just £995 per tooth. This cost includes the assessment, panoramic radiograph, titanium dental implant, titanium abutment and metal ceramic crown. Additional costs may be incurred if bone grafting and or intravenous sedation is needed. If you need multiple dental implants for multiple missing teeth then the cost savings could be much higher. At Brighton Implant Clinic our team is happy to arrange accommodation for you while you visit us. There are numerous hotels within walking distance from the Brighton Implant Clinic. Gatwick airport is only a 30 minutes away by car or train. Dental implants are successful in 95% of cases and many patients are benefiting from this amazing new dental technology today. Brighton Implant Clinic has 3 clinics based in Hove, Brighton and Hailsham. Our principle dentist Dr Bruno Silva has placed several thousand implants during the last 10 years while practicing implant dentistry. Brighton Implant Clinic provides a FREE initial assessment which consists of a panoramic radiograph (if required) and comprehensive treatment plan.